Security In The Palm of Your Hand | SafeT Systems | Easy. Enjoyable. Secure. As a certified dealer of Alarm.com products, SafeT Systems now has the ability to provide you with a completely integrated security system through an app on your smart phone. Our phones never leave our side for most of the day, so by implementing security system controls from your phone, it gives you the easiest access to your security system, house lighting, and so much more. 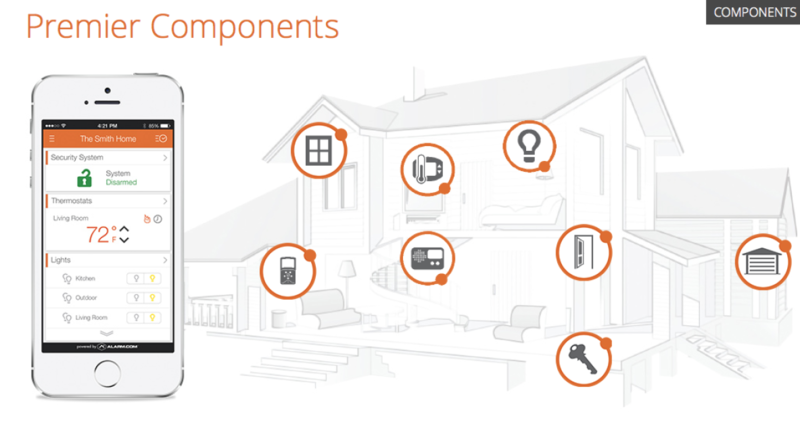 Some of the controls include window, door, and image sensors, connected thermostat, automated door locks and garage doors, and a master security panel. With a completely customizable plan reflective of your home and lifestyle, each integrated security solution can be outfitted to you and your families’ needs. Another benefit to this new system is that it is constantly evolving with continuous updates and improvements to become more personalized over time. Even better, the installation process is a one-time experience. A security system that is easy to operate, self-updating and knows your family as well as you do? Say no more. Devices can always be easily added or taken off the system, ensuring that the only people to have access are those who need it. We haven’t convinced you yet? Head over to alarm.com and check out the benefits and unique aspects of this truly amazing system. Welcome to the future of home security.